Being ready to learn in kindergarten is a game changer for kids. 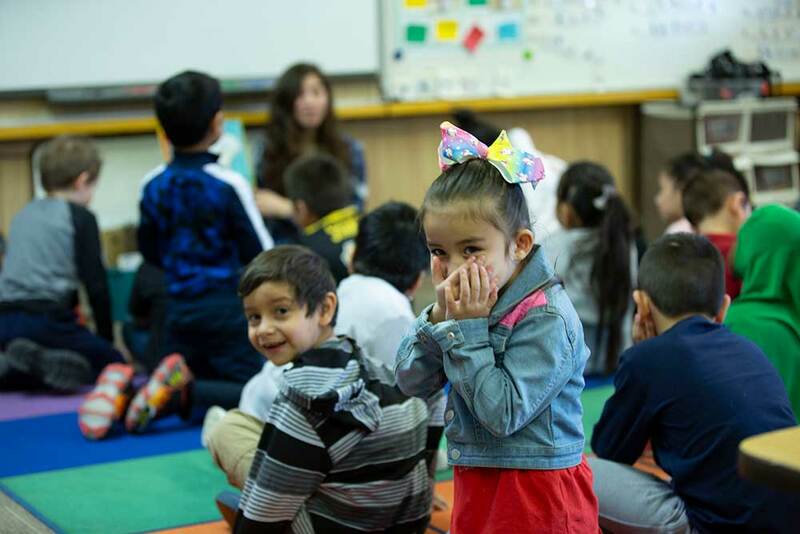 When they are kindergarten ready, students are more likely to have a foundation that supports future learning and better health. But many parents in the communities United Way of Salt Lake serves aren’t aware of the free or low-cost early learning and preschool programs that are available to their children. The project made a huge difference last year, Mitchell said. It was the first year South Kearns had tried hanging flyers door-to-door to get the word out about preschool and kindergarten registration. 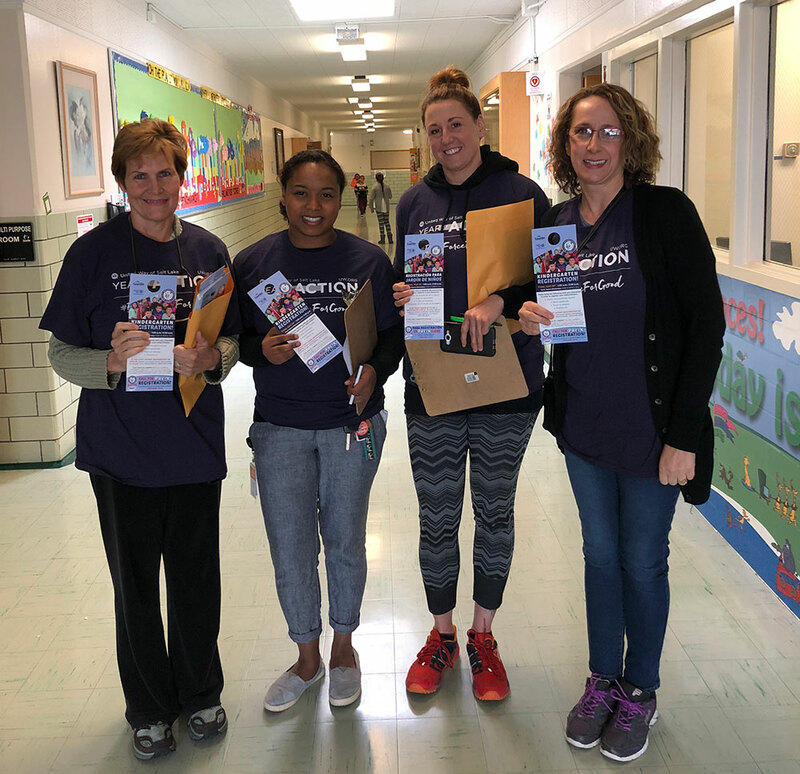 Since schools don’t have information for families who live in their boundaries but aren’t already enrolled, Mitchell said going door-to-door is the best way to connect with families who might have preschool-aged children. The flyers — which contain registration details written in English and Spanish — are also a great way for families to spread the word about the program on their own. Volunteers who hung flyers last year enjoyed taking part, Mitchell added. The group went out in pairs and tackled neighborhoods together, hanging flyers on doorknobs in their designated areas. Many participants told Mitchell they enjoyed getting outside, getting in some steps, and knowing that they’d informed so many people about South Kearns’ free preschool program. And their efforts paid off. South Kearns saw a bigger number of families from the South Kearns boundary enroll their child in its free preschool program, Mitchell said. She also said that there were more students registered on time for kindergarten, which was a pleasant surprise as many students, especially from parents who have their first child enrolling in school or who are new to the U.S. school system, don’t actually know when the school year begins. 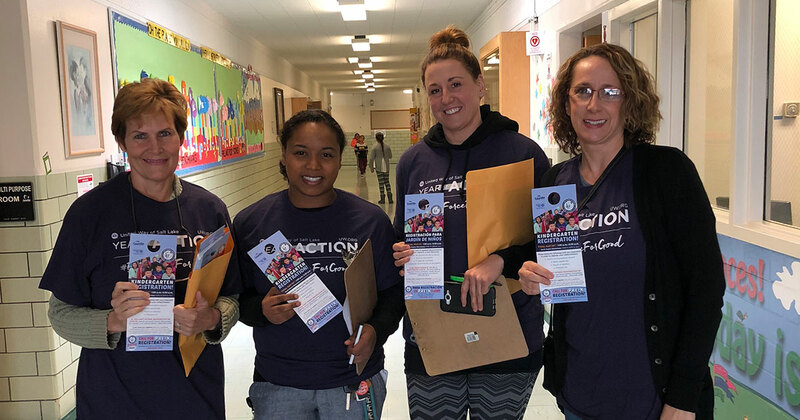 In addition to distributing flyers to houses around the school, West Kearns Elementary also needs a little help enrolling students on registration day on April 11 from 8 a.m. to noon. DeLayna Wilhelmsen, West Kearns community school director, said the school is looking to get more families enrolled on time since they had 21 of their 79 kindergartens enroll after the school year started. “Early education is so important and (these opportunities are) a great way to advocate for it on a grassroots level,” Mitchell said. To sign up to help spread the word about preschool and kindergarten registration in Kearns, visit uw.org/nvm. Learn more about other volunteer opportunities at uw.org/volunteer.